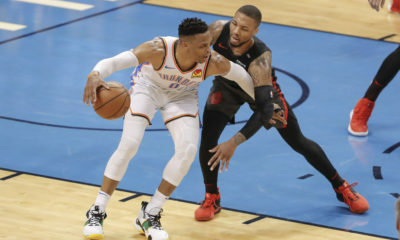 OKLAHOMA CITY, Okla. — At the 4:25 mark of the third quarter, the Oklahoma City Thunder (5-4) received quite the scare. Russell Westbrook contested a rebound over New Orleans Pelicans (4-6) forward Anthony Davis and came down bad on his left ankle. From there, the Thunder were forced to relive life without Westbrook. Oklahoma City held a seven-point lead that they saw dwindle to a two-point lead at 84-82. 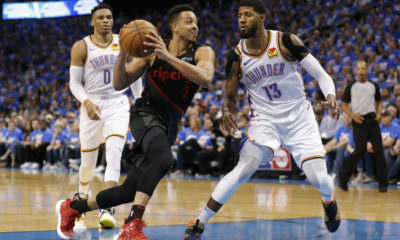 The energy of the arena seemed to be focused on the hopeful vision of Westbrook returning from the tunnel — a vision that never came. That is when the Thunder bench really took control. At the 2:30 mark of the third quarter, Patrick Patterson drained a three to bring the energy back to the game. From there, the bench led a 13-4 run to finish the quarter. The Oklahoma City bench outscored 20-14 in the second half after being blitzed by the Pelicans bench 35-26 in the first. Ultimately from the late third quarter run Dennis Schröder took over to keep the Pelicans at bay, helping the Thunder win 122-116. The Thunder’s fifth straight victory after starting 0-4. Schröder’s play was sensational after Westbrook went down. He gave the Thunder hope in an uncertain short term future without Westbrook who’s postgame x-rays came back negative. The backup point guard had no problem getting into the paint all evening but especially late in the third. 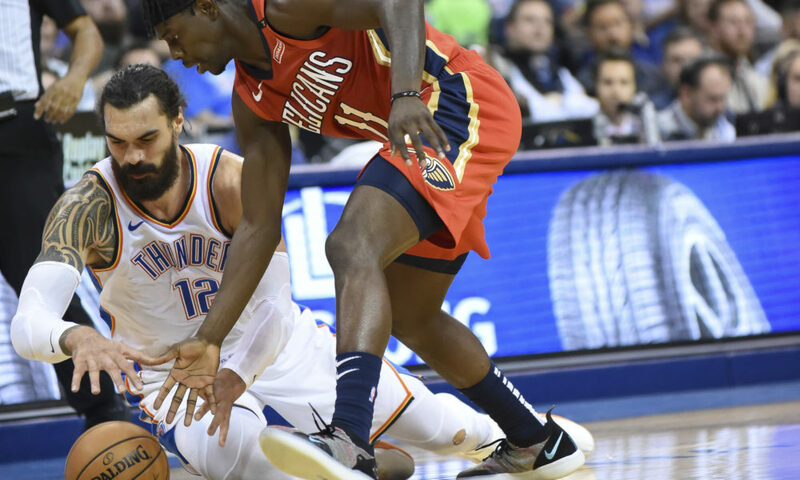 Oklahoma City outscored the Pelicans 64-54 in the paint while Adams (18 points and eight rebounds) held Davis below his averages all evening. Davis had 20 points on 7-of-20 shooting. Moving forward for the Thunder, all eyes are now set on the left ankle of Westbrook. The team was noticeably upset that their leader went down in such pain. 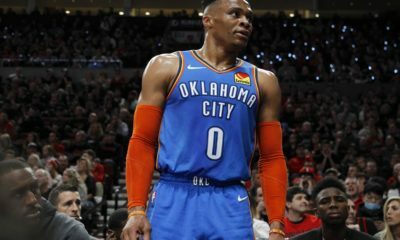 Paul George mentioned Westbrook’s high tolerance for pain and that the image of the All-Star in serious pain as he walked to the tunnel was upsetting. If Westbrook is unable to go on Wednesday night in Cleveland, the Thunder have confidence that Schröder can handle the team in his absence. With the way the former Atlanta Hawk preformed tonight, it’s easy to agree with their confidence. The Thunder will play the Cavaliers Wednesday night and return to Oklahoma City Thursday night to take on the Houston Rockets.